Noida: â€œWe are ready all the time to handle and support events of large scale be it is at a National level or at an International level. The last one was only last week when we buttoned Global Peace Summit where more than 30 countries participated for the cause of Peace,â€ said Dr. A. K. Srivastava Director General of Asian School of Media Studies. The management and organizing capacity of Asian School of Media Studies is no way less than any international management company. Many times ASMS has been appreciated for its involvement in international events at Delhi and Noida. 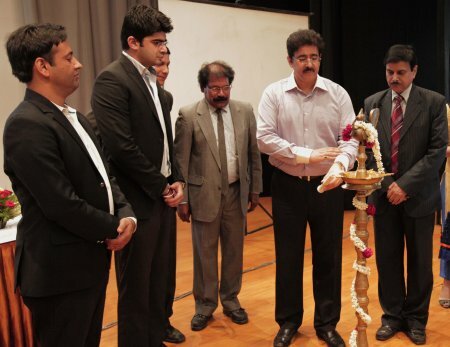 â€œWell Begun Half Done-I am pleased by all the departments of ASMS-Cinema, Mass Communication, Fashion, Multi Media, PR, Events & Advertising and Fine Arts which are playing powerful role in supporting each and every segment of the festivalâ€ said Sandeep Marwah President of the GLFN 2015.